The second meeting of the Austmarr Network was organized by Folklore Studies, Department of Philosophy, History, Culture and Art Studies and the Department of Finnish, Finno-Ugrian and Scandinavian Studies of the University of Helsinki. It took place over the course of two days (with a cultural program on the third) at the Metsätalo building of the University of Helsinki. In comparison with the previous meeting in Tartu in the spring of 2011 (see Kuldkepp 2011: 43–44), this was a different event in several ways. The number of presentations had almost doubled, the concept of hour- length keynote lectures was introduced and – last but not least – generous financing had been bestowed upon it by University of Helsinki. However, the essence and function of the network meeting was nevertheless the same: to bring together philologists, folklorists, historians and archaeologists who are interested in transdisciplinary perspectives on pre-modern Circum-Baltic issues, and who find it valuable to learn from each other, leading to a dialogue with colleagues in related fields of study. Thanks to the tireless organizing efforts of Frog (University of Helsinki) and Janne Saarikivi (University of Helsinki), both of these aims were accomplished spectacularly. If the second meeting of the Austmarr Network is any indication, further broadening and intensification of the Network’s activities can certainly be expected in the future. The first day of the meeting was devoted entirely to keynote lectures, each of which explored some problems inherent in combining different kinds of sources (e.g. literary, archaeological and folkloristic) for the purpose of developing more holistic perspectives on particular objects of study. Academician Anna-Leena Siikala (University of Helsinki) spoke about “Baltic-Finnic Mythological Poetry: Dialects, Layers and Significance”. Siikala introduced the idea of “dialects” of mythic poetry, which means that oral mythology is something akin to oral language: ever-changing, intertextual, highly context-based, and regionally variable. In order to properly analyze mythic narratives, they have to be approached as a cultural discourse, taking into account all relevant contexts, genres, performance methods, poetics, content and meanings of texts. However, in spite of this apparent instability, a broader perspective reveals that discourses of mythological poetry still form relatively consistent wholes, “the poetic cultures”, that can be related to each other and to other historical processes. The second keynote lecture was given jointly by Professor of Archaeology Mika Lavento (University of Helsinki) and Professor of Finno-Ugric Linguistics Janne Saarikivi (University of Helsinki). Their lecture was titled “The Reconstruction of Past Populations and Their Networks: Considerations Regarding Interdisciplinary Research on Linguistic and Archaeological Material”. Lavento and Saarinen focused on ways that linguistic and archaeological methods and data could be combined in ethnogenetic research without accidentally misrepresenting either field of study. As an example of how this might be done, they presented their joint research project “Early Networking in Northern Fennoscandia”. This project correlated toponymic and archeological data with reference to pre- historic Sámi-speaking language groups. Although the step from areal synthesis to establishing wider correlations is a difficult one to take, it is nevertheless possible to do so on the levels of local areas, communities and networks of communities, finding different types of connections between linguistic and material features of the reconstructed culture. Professor of Scandinavian Studies Daniel Sävborg (University of Tartu) held the third of the first day’s keynote lectures, “King Ingvar’s Campaign: The Old Norse Sources and the Salme Findings”. There, Sävborg raised the question of whether and how the large Iron Age ship burial site recently excavated at Salme, Saaremaa (northeast Estonia), could be related to the sparse, yet significant Old Norse sources on the campaign of King Ingvar of Sweden to the same region, which, to the best of our knowledge, can be dated to the same period as the archaeological site (8th century). Although it is obviously difficult to say anything conclusive about the connection to Ingvar in particular, the Salme findings nevertheless demonstrate that such voyages and battles could and did take place, leaving open the possibility that medieval literary accounts of pre-historical Circum-Baltic contacts might be more reliable than is often thought by source- critical scholars. The second day of the conference opened with Professor of History Jukka Korpela’s (University of Eastern Finland) presentation on “Baptized and Un-Baptized nemcis in 16th Century Muscovite Society”. Korpela introduced a part of a larger project investigating slave trade in Eastern Europe and the Near East. Focus was on the trade of so-called nemci slaves in Muscovy. These were a luxury item primarily imported from Northern Europe and often specifically blind women. He showed that the idea of baptism played an integrative role in the development of the centrally-controlled Muscovite state to which nemci were foreign. Mart Kuldkepp (University of Tartu) introduced a prospective research project in a presentation on “Distance as a Heuristic Concept in the Study of Old Norse Literature”. Kuldkepp presented some ideas about how literary geography could be used to approach Old Norse literature from fresh angles by giving it anchoring points in the extra-textual reality of landscapes. For example, depictions of travel over physical distance might be correlated with the occurrence of supernatural motifs, telling us not only about Old Norse literature, but also about the broader imagination of the culture that produced it. Mervi Suhonen (University of Helsinki) held a presentation on “Archaeological Research on Late Iron Age and Medieval Sites and Landscapes in Southern Finland: What Are We Currently Learning?”. Suhonen provided an overview of the kinds of research done in that field, what kind of facts are being gathered and in what kinds of frameworks these are being conceptualized. Like many others, she stressed the importance of communication between researchers and different disciplines, something that is hard to achieve not only due to intellectual, but also to institutional constraints. Ilkka Leskinen (University of Helsinki) presented his PhD project “Sweden, Hansa and Core-Periphery Networks in the Late Medieval Baltic Sea Region”, concerned with delineating interpersonal networks between Hansa merchants across the whole Baltic Sea region during the Late Middle Ages. Even though Finland and Sweden belonged to the periphery of the Hanseatic world (centered on the great towns of Northern Germany), the merchants stationed there nevertheless had remarkable international connections reaching even beyond Northern Europe, as witnessed by their correspondence with each other. Ante Aikio (University of Oulu) gave a paper on “The Interaction of Proto-Norse and Proto-Saami Communities: Reconstructing a Prehistoric Trade Network” about the possibility of using loan words from Proto- Norse into Proto-Saami in order to draw conclusions about pre-historic cultural contacts between these language groups. As the absolute chronology of linguistic innovations in Scandinavian can be established thanks to runic material, it is possible to determine with some accuracy the time when different Scandinavian words must have been borrowed into different Sámi languages. This provides fascinating information about both the chronology and possibly also the nature of the contacts that facilitated the borrowing. After lunch, the day continued with Mikko Bentlin’s (Ernst-Moritz-Arndt-Universität Greifswald) presentation titled “Traces of Low German Influence on Finnish in the Middle Ages” concerned with the possibility of finding independent Low German loanwords (not Swedish-mediated) in Finnish. There are indeed some phonetic, semantic and distributional criteria that make it possible to determine that certain words must have come directly from Low German. By looking at what kinds of words were borrowed and where, new perspectives are opened on Medieval cross-cultural contacts in the Baltic Sea area as well as on the history of both languages. Next, Kendra Willson’s (University of California) paper titled “Prosodic Typology and Metrical Borrowing” looked at the borrowing of Knittelvers-meters into Late Medieval poetic cultures around the Baltic Sea, displacing earlier alliterative meters in the process. It is possible that the popularity of these new, end-rhymed meters, based on the ideas of a constant number of stressed syllables, could be responsible for the syllable re-structuring in Finnish dialects that is usually attributed to Germanic influences, whereas the new consonant clusters and foreign phonemes borrowed were partially incompatible with the old alliteration system and probably also contributed to the decline of alliterative poetry. Maths Bertell’s (Mid-Sweden University) presentation on “Finno-Ugrian and Scandinavian Myth in the Light of a Possible Comparative Retrospective Method” discussed some conceptual problems inherent in using retrospective methods for investigations in comparative mythology – it is easy to come across as superficial, to focus on similarities, but not differences, and to draw false conclusions from instances of analogy. Using the fire-striking Hrungnir myth as an example, Bertell suggested that the lesson to take away from his presentation would be to avoid using retrospective methods for the purpose of filling in blanks in our knowledge about a culture’s mythology. Karolina Kouvola (University of Helsinki) introduced her PhD thesis project in a presentation titled “Warriorhood and Supernatural Beings”. Kouvola’s research focuses on the representations of warriors in Old Norse context in comparison with parallel cultures. She focused particularly on comparing Odin and Väinämöinen and the similar roles they play as mysterious, elitist instigators of battle and protectors of warriors who often seem to be caught in an almost supernatural frenzy, perhaps using some kind of shamanistic techniques. She intends to draw further parallels with the Celtic culture and its warrior heroes. The last presentation was given by Frog (University of Helsinki). It was titled “'Relevant Indicators': A Cross-Disciplinary Indexing Tool? – Examples from Mythological Thinking” and tackled the issue that in some form or another was essential to nearly every previous presentation, namely: how to critically and fruitfully relate data from different disciplines. To that end, Frog proposed the creation of a digital database with an indexing tool that would make it possible to navigate and correlate different “relevant indicators” in data from different fields. The purposefully all-encompassing term of “relevant indicator” would allow different kinds of data to be tagged as significant in multiple respects but without resolution as to causes, consequences or symptoms. In this way, multiple and diverse theoretical models could be developed and compared. The very last event of the second day of the conference was a discussion session led by Janne Saarikivi and Frog. The discussion focused on organizational issues and future plans of the Austmarr Network. In particular, the development of some web resource was felt to be necessary and Kendra Willson volunteered to be responsible for website design. It was also decided that the next meeting of the Network would be held in the following year at Mid-Sweden University in Härnösand, with Maths Bertell as the main organizer of the event. A committee was established to better coordinate the network’s future activities. Members of this committee include Daniel Sävborg, Maths Bertell, Frog, Kendra Willson, Mikko Bentlin and Janne Saarikivi. The day was then rounded off with a very pleasant conference dinner. The third day of the conference was devoted to a city tour and a museum visit in Helsinki under the expert guidance of Janne Saarikivi and Frog. All in all, the second meeting of the Austmarr Network was most certainly a success in all possible respects, making one already look forward to the third meeting in the spring of 2013 with great expectations. Kuldkepp, Mart. 2011. 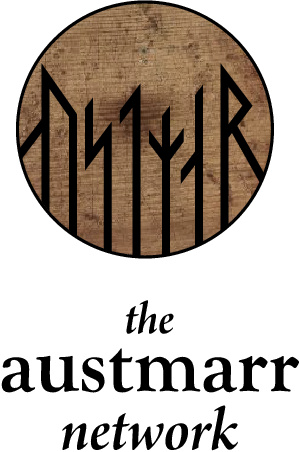 “Conference Report: Cultural Exchanges across the Baltic Sea in the Middle Ages Symposium and Workshop: First Meeting of the Austmarr Network. RMN Newsletter 3: 43–44. Reproduced from Retrospective Methods Newsletter 5 (December 2012):65-67.